I think of myself as a culinary traveler – while some eat for the energy to travel, I travel with a main motivation to eat. Food not only provides energy and is one of the components of life, it also is one of the most essential parts of any culture around the world. Of course, food tastes awesome, but it also is the vessel to which you can open doors to a completely new country and build relationships. Growing up in East Africa, my stomach was exposed to the germs and bacteria of eating outdoor street food from a young age. When I moved to southeast Asia I couldn’t believe my eyes at the amount and availability of food (it still enthralls me daily). Well, one of the main reasons is that throughout the years I have developed a tolerance for street food germs – it’s something that anyone can get used to with time and eating experience in whatever location you’re in. I have a number of key suggestions and things to avoid or take note of so you don’t get sick while taking advantage of street food. Of course, your stomach is different from mine and from someone else’s — so when you’re about to eat, it’s important to know yourself and determine if you have a weaker stomach or a stronger stomach before eating all kinds of street food. Here are a few suggestions for avoiding stomach issues (mostly pertaining to parts of Asia, Africa, and South America). Water is probably the single biggest factor when it comes to getting diarrhea or having stomach problems while traveling. I won’t lie, I’ve been the victim of water created diarrhea quite a few times. Not only should you be cautious drinking straight cups of water (depending on where you travel), but also drinking water that includes ice cubes, drinking the tempting fresh fruit juices, or even rinsing out your mouth when you brush your teeth. 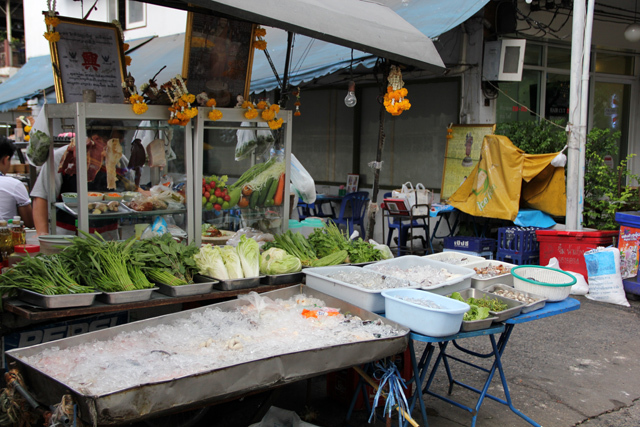 Raw vegetables are often washed with bad water. Due to unsanitary water, eating raw vegetables can also be risky depending on the country you are visiting. If you are uncertain about the conditions of the water or how your stomach will handle things, it’s best to avoid eating raw vegetables. Some fruits like apples come ready to be eaten, other fruits like oranges and bananas come with outer layers that needs to be peeled off before being eaten. Buying and eating fruit that needs to be peeled is great for travelers. Instead of having to wash off the fruit (or worry about the water) you can just peel and eat. Here's some food that's been sitting... for how long??? From Southeast Asia to Africa, there are many eateries that cook a huge amount of food and then let it sit in the sun in a glass cabinet for the day. Food that sits can accumulate bacteria, especially if it sits in the hot sun for a long period of time. If you ever notice something on the street or on a menu that will be cooked just before being served to you, it’s nearly always the safer way to eat. If you are worried, always stick with freshly cooked hot food over food that sits. 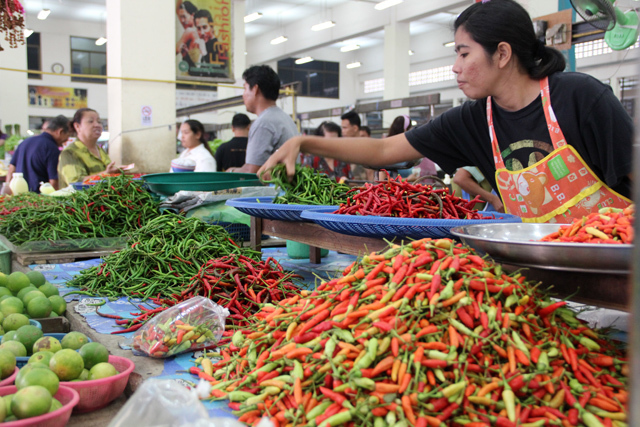 An abundance of spice and chillies (like in Indian, Sri Lankan or Thai food) is something that could upset your stomach. It’s not that the food has been contaminated, it’s just that your stomach may not be accustomed to the mix of spices and the pungent blends of flavor. If you you don’t do well with high spice levels, you may want to proceed with spicy foods in small amounts at first and try to slowly build up your stomachs' tolerance. Believe it or not, washing your hands before you eat isn’t just for your own personal sanitary comfort – it really does kill the germs and bacteria that have collected on your hands throughout the day. Also, you'll really want to take care in washing your hands in destinations where you eat with your fingers (just be mindful of the water again – dry off your hands before you start eating). As a lover of tasting different sauces around the world, I can never resist sauce provided at any restaurant throughout this world – but for weaker stomachs, sauce could be the enemy. The main reason is that restaurants often leave their sauce for the entire day (or even days – we’ll never know) at room temperature. This makes sauce the cause of many people’s stomach disturbances. These are merely a few suggestions, mainly if you are concerned about eating street food when you travel. 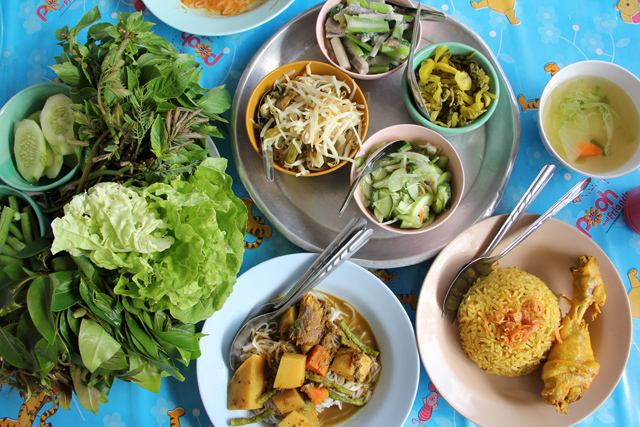 However, as a street food fanatic, I would encourage you to be brave and get out there with the locals and taste some of the delightful cuisine – just make sure you know your stomach and take adequate precautions so you can fully enjoy your trip! I love street food and I’ve gotten sick plenty of times. Of course, having lived in China for almost 4 years, I couldn’t avoid the food…and why would I want to? A friend taught me this: “Don’t forget to bless it on the way down.” Even traveling in the first world can cause belly eruptions as we expose our systems to unusual food that isn’t necessarily tainted by microbes. Good rules of thumb here, Mark. I agree if you can actually see it being cooked before it’s served to you then you’re onto a winner – plus that way you can make sure they scorch the hell out of it and get it to temperatures that no bacteria could survive! Pick a cart with a long line and quick turnover, which means food is hot and fresh. 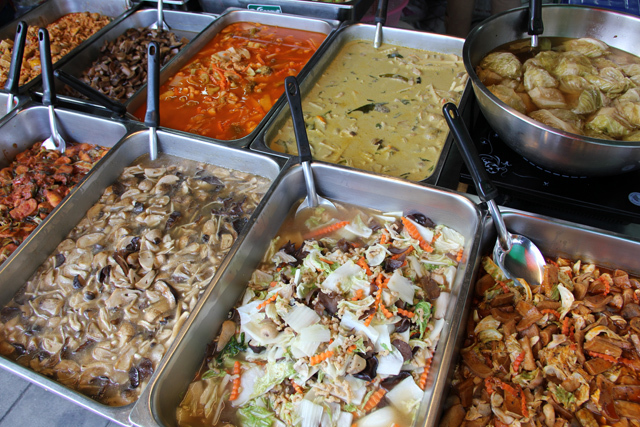 Certain vendors are popular because their food is tastier and safer-it’s worth the extra minutes in line.